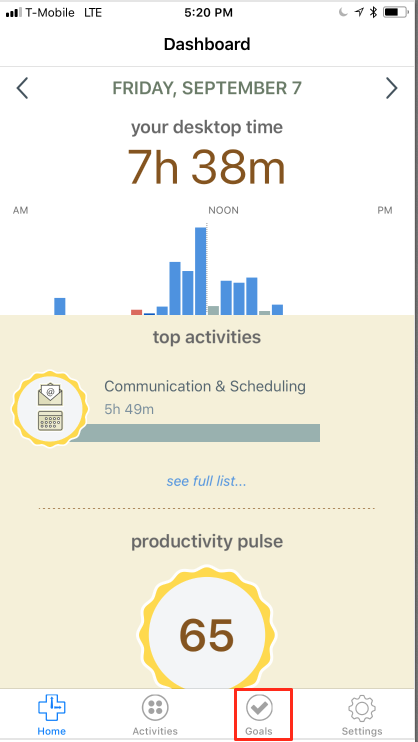 The home screen displays your total logged time for the day along with a list of your top activities. 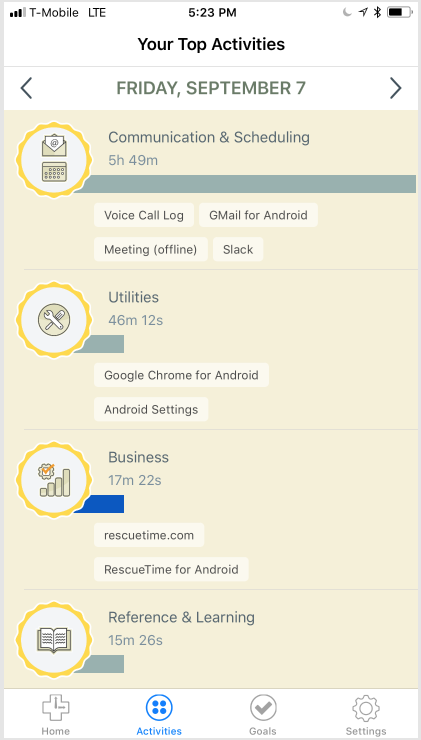 Scrolling down will show you your productivity pulse, your mobile time, a link to see where you used your device, and data sync information. 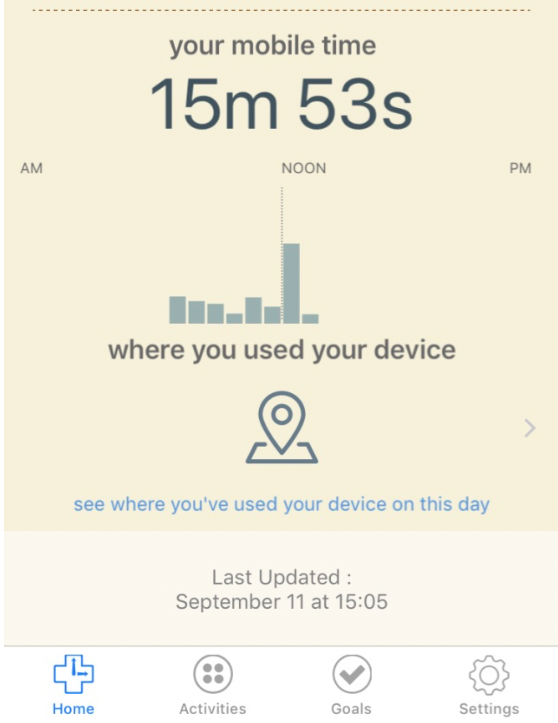 By clicking see where you've used your device on this day, you'll get location information along with a number of sessions and duration. 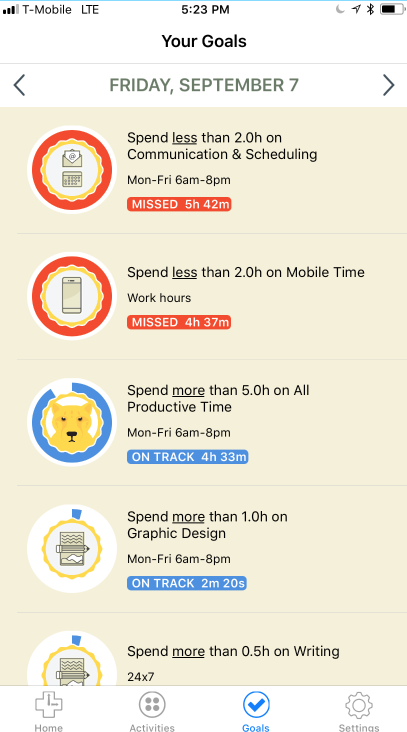 Just so you know location data stays on your iOS device and it is never synched with RescueTime's servers. Clear Location Data will remove all the location data stored on the device up to when the removal took place. 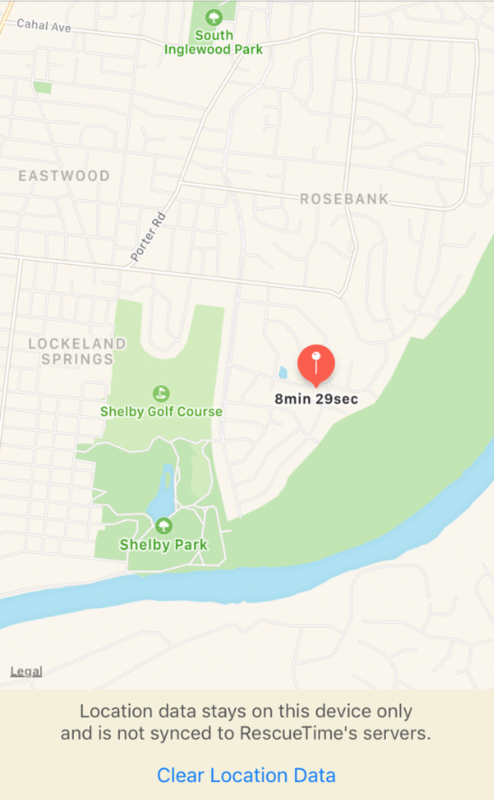 It starts recording new location data after that date. 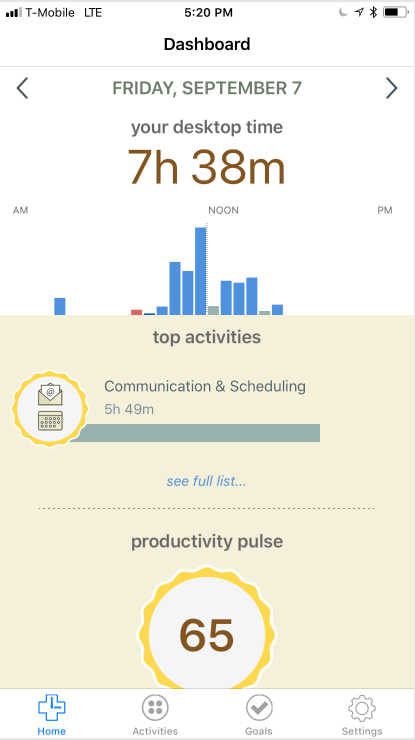 By default, the Dashboard will display the current day's data. You can navigate forward or backward on the date, by tapping the arrow symbols < and > located at the left and right of your desktop time. 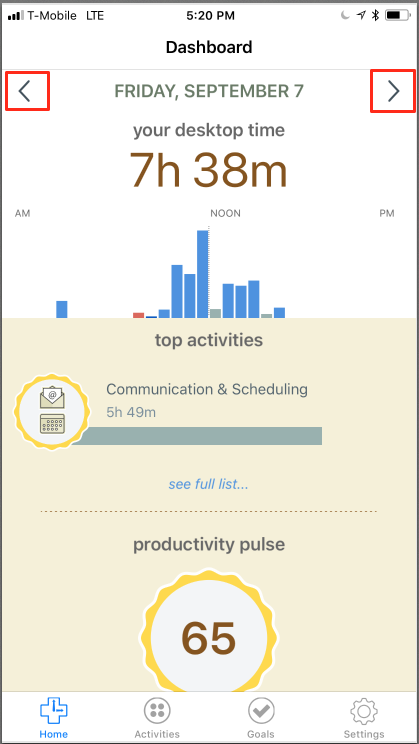 To navigate to a different day, tap on the date at the top of home screen, and a date picker will automatically be displayed. You can then select a given date. Please note that you can only go back 30 days from today's date. To see a list of the activities for the day, click the Activities icon at the bottom. 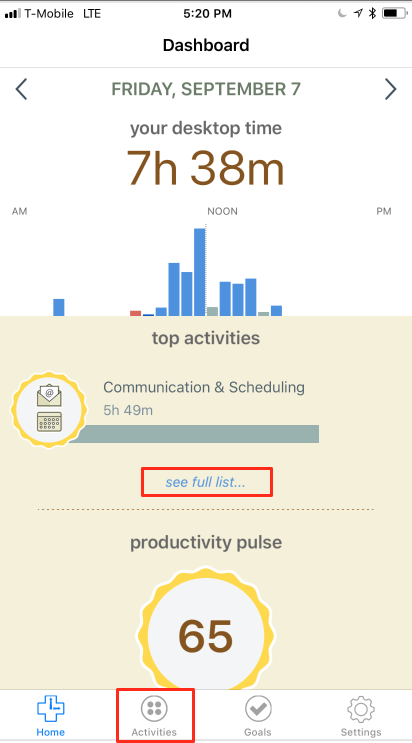 From the Dashboard, you can also click the see full list link under the top activities section. 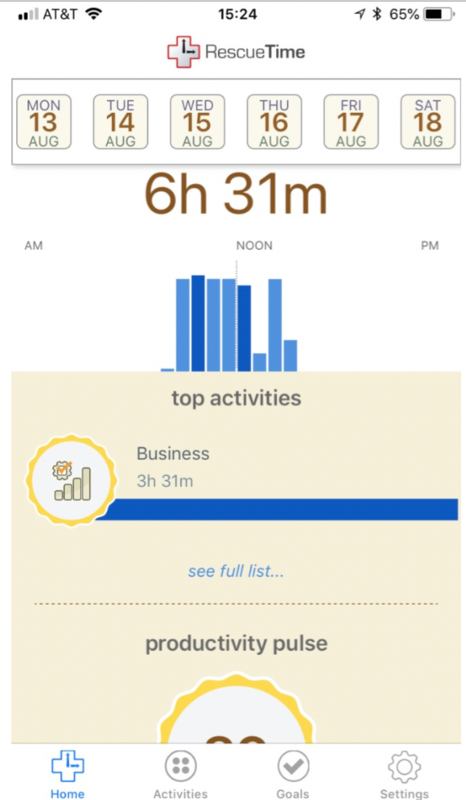 You'll see a listing of your top activities by category. Goals can be accessed by clicking the Goals icon at the bottom of the screen. You'll see all the goals you have set up and the progress you have made towards them.